American households pared their debts last quarter, closing credit card accounts and taking out fewer mortgages as unemployment persisted near a 26-year high, a survey by the Federal Reserve Bank of New York showed.Consumer indebtedness totaled $11.7 trillion at the end of June, a decline of 1.5 percent from the previous three months and down 6.5 percent from its peak in the third quarter of 2008, according to the New York Fed’s first quarterly report on household debt and credit.The report reinforces forecasts for a slowing economy in the second half of 2010 as consumers hold back on spending and rebuild savings. One has to wonder whether the mainstream media and the clueless pundits on CNBC actually believe the crap they are peddling or whether this is a concerted effort to convince the masses that they have done enough and should start spending. Consumer spending as a percentage of GDP is still above 70%. This is well above the 64% level that was consistent between 1950 and 1980. Consumer spending was entirely propped up by an ever increasing level of debt. The American economy will never recover until consumer spending drops back to the 64% range that indicates a balanced economic system. For the mathematically challenged on CNBC and in the White House, this means that consumers need to reduce their spending by an additional $850 billion PER YEAR. Great news for the 1.5 million retailers in America. 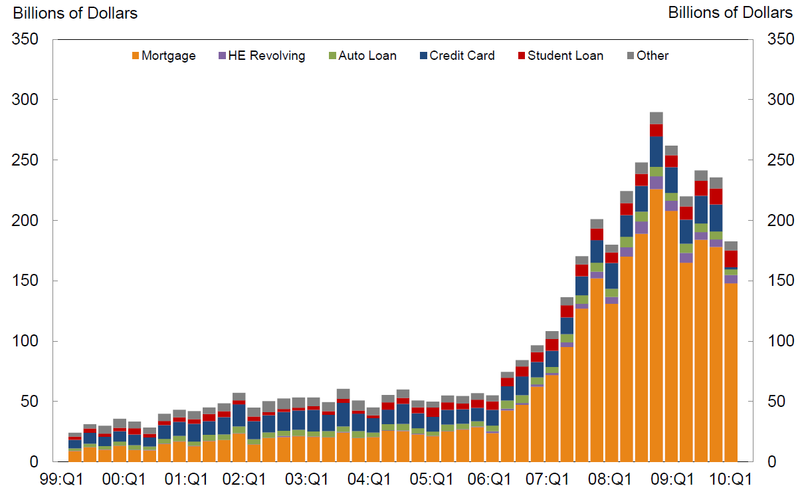 Total credit market debt peaked at $52.9 trillion in the 1st quarter of 2009. It is currently at $52.1 trillion. The GREAT DE-LEVERAGING of the United States has chopped our total debt by 1.5%. Move along. No more to see here. Time to go to the mall. 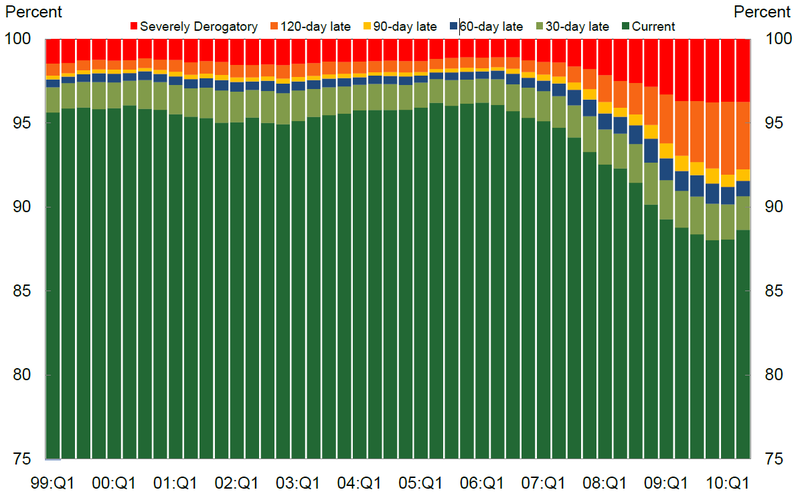 Can anyone in their right mind look at this chart and think this financial crisis is over? 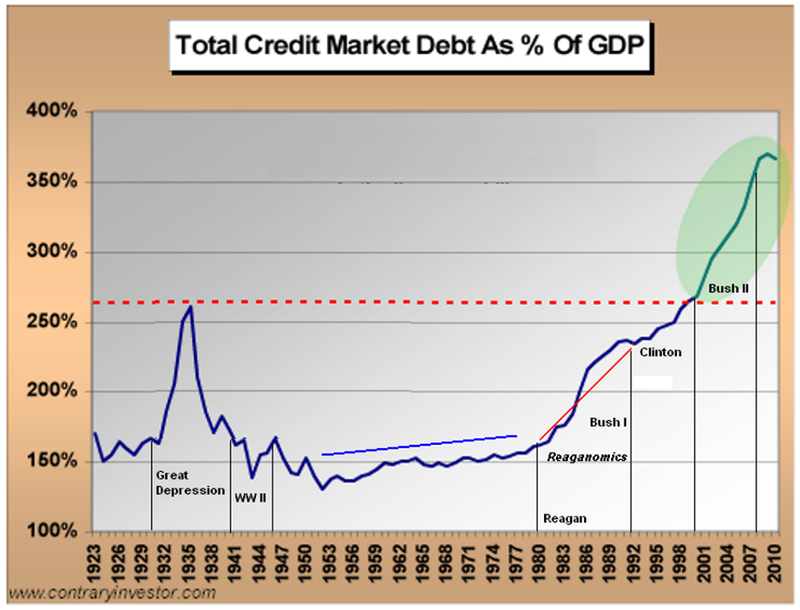 During the Great Depression of the 1930′s Total Credit Market Debt as a % of GDP peaked at 260% of GDP. As of today, it stands at 360% of GDP. The Federal Government is adding $4 billion per day to the National Debt. GDP is stagnant and will likely not grow for the next year. The storyline about corporate America being flush with cash is another lie. Corporations have ADDED $482 billion of debt since 2007. Corporate America has the largest amount of debt on their books in history at $7.2 trillion. Now we get to the Big Lie about frugal consumers paying off debts, cutting up those credit cards, and eating Raman noodles 5 nights per week. Household and non-profit debt, which includes mortgages, credit card debt, auto loans, home equity loans, and student loans peaked at $13.8 trillion in 2008. After two years of supposed deleveraging, frugality and mass austerity, the balance is $13.5 trillion. 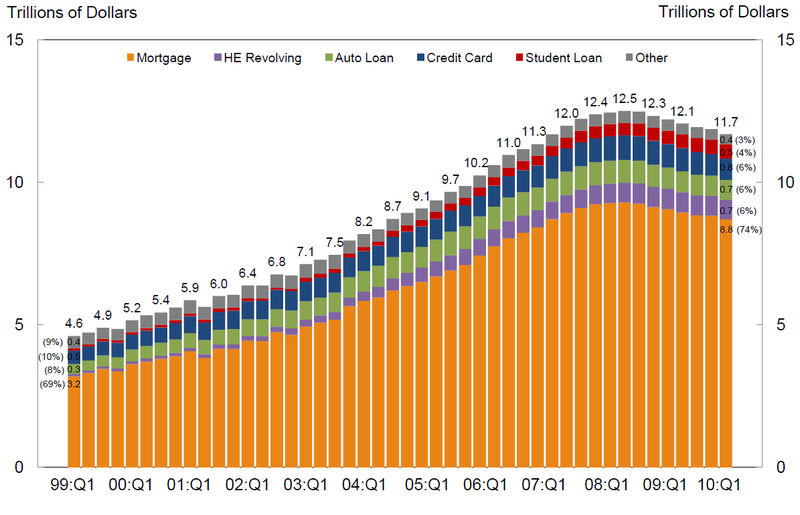 Consumers have buckled down and have paid off 2.2% of their debts, it seems. Not exactly going cold turkey, but it is a start. So, let’s get down to the nitty gritty. If consumer debt was $13.8 trillion at the end of 2008 and the banks have since written off 5.66% of that debt, total write-offs were $800 billion. If total consumer debt now sits at $13.5 trillion, then consumers have actually taken on $500 billion of additional debt since the end of 2008. The consumer hasn’t cut back at all. They are still spending and borrowing. It is beyond my comprehension that no one on CNBC or in the other mainstream media can do simple math to figure out that the deleveraging story is just a Big Lie. The truth is that the debt has simply been shifted from criminal Wall Street Banks to the American taxpayer. These consumer debts were created in a private transaction between individuals and these banks. When the loans went bad, the consumer should have lost their home, car, etc., and their credit rating should have been ruined, keeping them out of the credit market for a number of years. If the banks that made these bad loans made too many, they should have failed and had their assets liquidated in bankruptcy. Instead, the Federal Government has inserted the American taxpayer into the equation by using our tax dollars to prop up insolvent Wall Street banks and allowing screw-ups who took on too much debt to live in houses for over two years without making a mortgage payment. The Big Lie will eventually lose out to the grim truth. 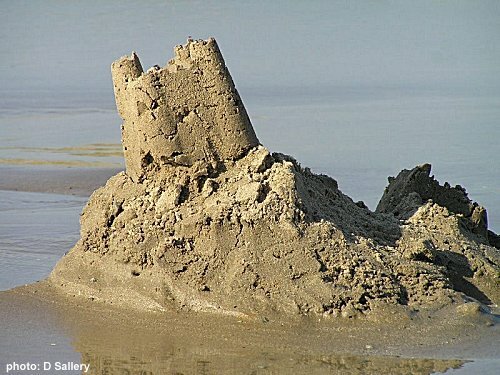 America’s economy is built on a debt based foundation of sand and the tide of reality is relentlessly eating away at that foundation of debt. Collapse is just a matter of time. The charts below from the Federal Reserve paint a grim picture of reality.